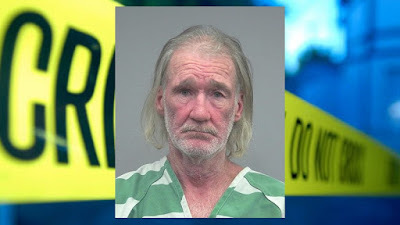 Hagen allegedly threw the extinguisher at his neighbor -- striking him in the abdomen and thighs -- and allegedly threatened to “dump” him from his wheelchair, according to the Gainesville Sun. A Florida man is accused of throwing a fire extinguisher at a disabled veteran. James M. Hagen, of Gainesville, got into an argument with his neighbor, a disabled veteran in a wheelchair, on Monday. The argument allegedly stemmed from Hagan’s belongings blocking his neighbor’s access to a fire extinguisher, according to the Gainesville Sun.